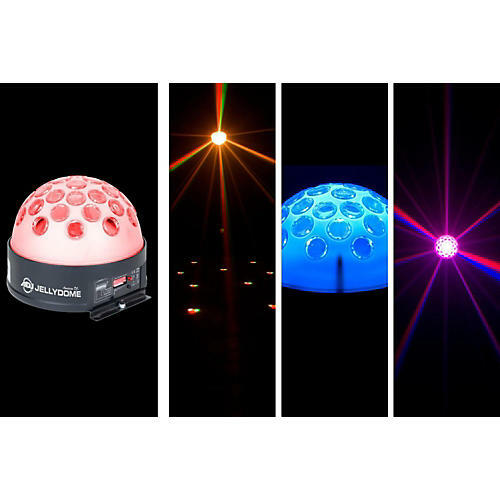 The American DJ JellyDome LED Lighting Effect is really 2 effects in 1. The dome glows while 34 sharp RGBW beam lights project different colors. also be used to turn the unit on and off and run through various built-in light shows. The LED lights stay cool and can be run all night with no cooling off necessary before packing up.